ASTROPHYSICS: Astronomy Animation: movie of a pulsar: a neutron star surrounded by a magenetosphere (green-blue donut shape) beaming out radiation (purple cones of light) from its magnetic poles and so creating the characteristic lighthouse effect. PULSARS: The first pulsar was discovered in 1967 by Jocelyn Bell, a PhD student at Cambridge University, when she detected radio pulses from an astronomical object. These pulses consisted of 0.01 seconds bursts every 1.3 seconds. The time interval in between pulses was so regular that the emission could be used as a very precise clock. Such a precision was so unusual in an astronomical object that some radio-astronomers started calling it, half-jokingly, LGM-1, suggesting that the pulses might be caused by a radio signal broadcast by Little Green Men. They could hardly believe that such a fantastic precision could originate from a natural phenomenon! We now know that, typically, the period of pulsars changes over a very long time scale indeed: only a few seconds in a million years! Nowadays, something like 1,400 pulsars are known. They all exhibit very short periods, ranging from about 0.03 seconds to a few seconds. The most rapidly spinning neutron star ever found is B1937+21, with a spin period of only 1.6 milliseconds. This means that this neutron star spins 641 times per second around its axis! Another characteristic of pulsars is their strong magnetic fields. These can be as high as about 70,000,000,000,000 Gauss. This is a huge field, if compared to that of the Sun which is only of a few Gauss and that of a fridge magnet which is of not more than about 100 Gauss. In this animation, the magnetosphere is shown as a bluish doughnut. Pulsars emit radiation from the radio through to x-rays and even gamma ray wavebands. Although it is not clear what the detailed mechanisms that power pulsars are, the currently accepted picture is that of a rapidly spinning neutron star whose magnetic and rotation axes are not aligned. In this picture, the magnetic axis is tilted to the right and the rotation axis is vertical. 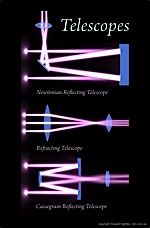 The radiation is emitted near the magnetic poles into two narrow hollow beams (cones) sweeping around the sky (shown as purple beams in the picture). Pulsars have often been compared to tilted light-houses; if the pulsar happens to be oriented in such a way that the radiation beam sweeps across Earth, we see the pulse, otherwise we do not. This also explains why not all supernova remnants seem to harbour a pulsar: if we do not see a pulsar, it does not mean that it is not there! It may simply mean that the orientation is such that we are outside the emission cone. But how is this radiation produced? A strong magnetic field which is forced to change because of the fast rotation induces an electric field that is so great that can generate a force strong enough to extract electrons from the neutron star polar caps against the super-strong neutron star gravity. Then, these electrons are accelerated along magnetic field lines and fill up the star's magnetosphere. The magnetosphere is in co-rotation with the neutron star up to the "light cylinder" surface, which is an imaginary surface where electrons rotate at the speed of light. Thus, this surface marks the last of the closed field line. Beyond the light cylinder, the magnetic field lines are open.